If we can't save you money we will pay you R1000-oo.Sequestration advice anywhere in South Africa. Write off 80 % of your debt legally. Make a fresh start, reset your debt to zero. Sequestration services and advice in all major cities of South Africa including sequestration services in Durban, Pretoria, Johannesburg, Cape Town, East London and Port Elizabeth. Sequestration in South Africa or the surrendering of your estate, a process instituted by the court to help people that are no longer able to pay their debts due to uncontrollable circumstances, over indebtedness and reckless credit. Also referred to as voluntary surrender of estate or vrywillige boedel oorgawe in afrikaans. Sequestration in South Africa enables you to regain normality in your financial affairs. Effectively offering you a fresh start or reset of your debt. It is the only legal process that can offer you a fresh, debt free new start in life. A blank slate. Now who have not thought about starting over before? We have all made terrible mistakes, you don't have to pay for the rest of your life. You will experience a normal lifestyle without the fear that creditors will phone you day and night from "private numbers" and therefore you can answer your calls fearlessly, and no more fear that the sheriff may make an unwanted house-calls to attach your furniture. Here is a short summary of the procedure. First we do an assessment of your debt, even if you are currently under debt review. We obtain a statement of your income and expenses, assets and liabilities. From this we assess if you are a suitable candidate for sequestration. We publish an advert in the Government Gazette and in a local newspaper. This will prevent any further legal action against you i.e. execution notices, seizure of your movable and/or immovable property, etc. An ability statement is drafted that you must sign before a Commissioner of Oaths. This document is submitted for inspection at the Master of the High Court for 14 days or with the local Magistrate. Thereafter a registered letter is forwarded to all your creditors as notice of the surrender of your estate. Your creditors are now instructed to contact us for any information and may no longer communicate with you. You will also be provided with the same notice to enable you to forward to nagging creditors. We then obtain a date for presenting your application to court. After the application has been granted by the Court, a curator is appointed to handle all financial matters on your behalf. The curator will contact you to arrange a consultation to explain the details to you. The Court Rules determines that you pay between 20c and 25c in a rand benefit to your creditors. In other words if you owe Creditor A, R1-00, they should get 20c thereof. If your total debt is R50 000-00, you will pay R24 500-00; R100 000-00 you pay R35300-00; R200 000-00 you pay R57 000.00 and so forth (Please note that these are approximate figures and may change. It is at the discretion of the Judge). A fixed fee is already included in the amount payable and in doing so you will not be caught off-guard with unexpected attorney or curator costs. 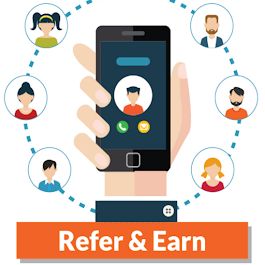 The benefit of this approach is that the repayment amount does not accrue interest. Arrangements may be made with the curator to settle the amount with them in installments between 12,18 or 36 months, written permission is needed from the curator when the installment agreement is accepted. Therefore, if you owe R50 000 you may repay it in installments of R1361-00 per month for 18 months – there are no further interest or costs thereon. I will forward you a document, listing general household items. You must identify your assets on the document and describe each item e.g TV – Sansui 54cm etc. This document will be forwarded to the valuator to establish the value of the items. *No furniture will be removed. The purpose thereof, as you do not own immovable property (e.g. a house), is to do a movable asset surrender. The purchase agreement, prepared by the curator, will be presented to you in order to assist in purchasing your assets back. Your assets will be evaluated at a market related price, which will be the figure used to purchase your assets back. As soon as the application has been approved and granted, the curator will contact you to confirm the details in respect of your assets. Progress updates will occur on a weekly basis, at which time you will be updated with the latest developments with your application. repossess the vehicle. 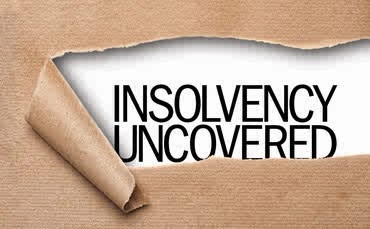 Court Rules determine that hire purchase falls within the Law of Insolvency and the vehicle's payments must be made on time and should be up to date. Should the installments on the vehicle be up to date, financial institutions are willing to consider your request to keep the vehicle and may result in you being able to keep the vehicle. This grant from the financial institutions is occurring more frequently, please keep in mind that there is no guarantee for you to keep the vehicle, especially should your vehicle be in arrears. Please note that arrangements must be made with the financial institution prior to sequestration application. Vehicles registered in another person, or legal persons, name will not form part of the estate. Vehicles leased are also not affected. Surrender Application is brought in the High Court of South Africa. The application can be enrolled within five weeks. Admin Application is made in the Magistrate Court but it can take up to a year before it is enrolled. Debt Review Application is made in the Magistrate Court. Application is enrolled within two months. Court rules prescribe that all creditors are included and that the court order must be accepted by all creditors. Debt is excluded that has already been handed over to attorneys for legal action. "Cash loans" agreements are excluded from an administration and you have to still pay the monies outstanding. No maximum debt to apply. Should you owe for example an amount of R50,000.00, you only pay back R18,000.00 – it does not accrue interest. Payments are completed in 18 months or less. You pay the entire amount plus interest and costs. This can take up to 30 years. Should you owe for example R50,000.00 it still accrues interest and costs, in other words you will pay back approximately R132,000.00. Should you have a immovable asset (house), it will be sold by the curator to pay the creditors. Should you have a immovable asset (house), you may keep it if the bank has accepted a minimum payment and legal action has not yet been taken. You will be insolvent for at least the next 2 to 4 years. There are circumstances where you can apply for rehabilitation after 18 months, keep in mind that this is an exception rather than the rule. For your insolvency period, you will not be credit worthy. But also keep in mind that you are not credit worthy at the moment anyway, because you have to much debt or you are in arrears with payments. You may receive permission from you curator in certain circumstances for example when you need to purchase a vehicle – this permission will not be granted before a window period of four months, and then the financial institution will require someone to stand as surety. You may not have a cheque account or a credit card facility. You may under no circumstances engage in any debt arrangements. Your salary and other income is still your own and you do not have to pay any creditor any more. Only your creditors are notified of the process and not your employer or any other person. You will not be discharged from your work because of it. Your friends and family will never know. It is important that you think of all the debt you have when applying, so that everything can be included. 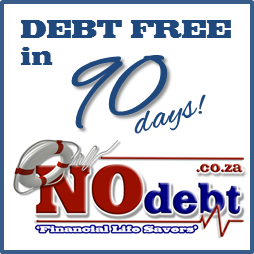 Very important: FREEDOM – you and your family can start afresh, a new beginning – without debt. You do not have to be afraid of unknown numbers on your mobile. Please note that I offer advice and assistance to any person, anywhere in South Africa. I am mainly based in Margate on the South Coast but this has no affect on our service to you. I have compiled a panel of experts and attorneys all over SA.